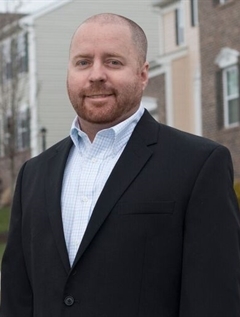 Robbie Singer | Czekalski Real Estate, Inc.
Robbie Singer is a licensed real estate agent and Natrona Heights native ready to work with those looking to purchase or sell property in the Alle-Kiski Valley. Robbie joined Czekalski Real Estate in 2017 transitioning from managing and operating a family-owned restaurant/bar, the Do Drop Inn, to pursuing an interest in the real estate field. Robbie is excited to join the long-standing CRE company which has been a community staple since 1965 and its friendly and motivating team. Robbie works his hardest with clients to make the buying and selling process a stress-free, sincere and successful experience. Robbie's more than 25 years in the service industry has created a diverse network of connections and has created a trust factor with his former customers which cannot be surpassed. Clients enjoy working with Robbie because they know he is honest, has a vast knowledge of the AK Valley and surrounding area and will work hard for the optimal results in buying or selling property. An almost life-long resident of Harrison Township, Robbie is a graduate of Highlands High School, Harrison Township. In addition to previously managing the family business, Robbie served as a police officer. Robbie and his wife, Ashley, have three sons. He is a youth ice hockey coach, an avid golfer, and sports fan. Robbie and Ashley enjoy spending time with family and friends, taking vacations to Key West and being active outdoors. Call or text Robbie at 724.321.1612 if you want a real estate agent who will advocate for your best interests and provide you with an honest and fair real estate experience.